This item will earn you 53 reward point(s). 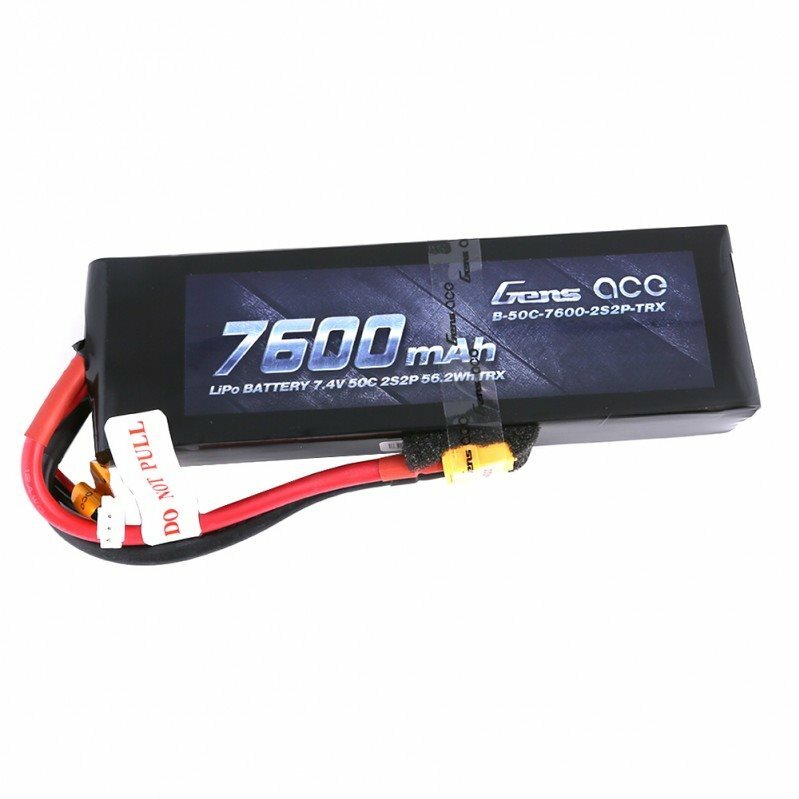 Gens ace is expert of High Power Lipo Batteries.The extremely unique technologies utilized in this battery offers each battery cell to be steady discharged all at once, and steady voltage untill the end of your objective. 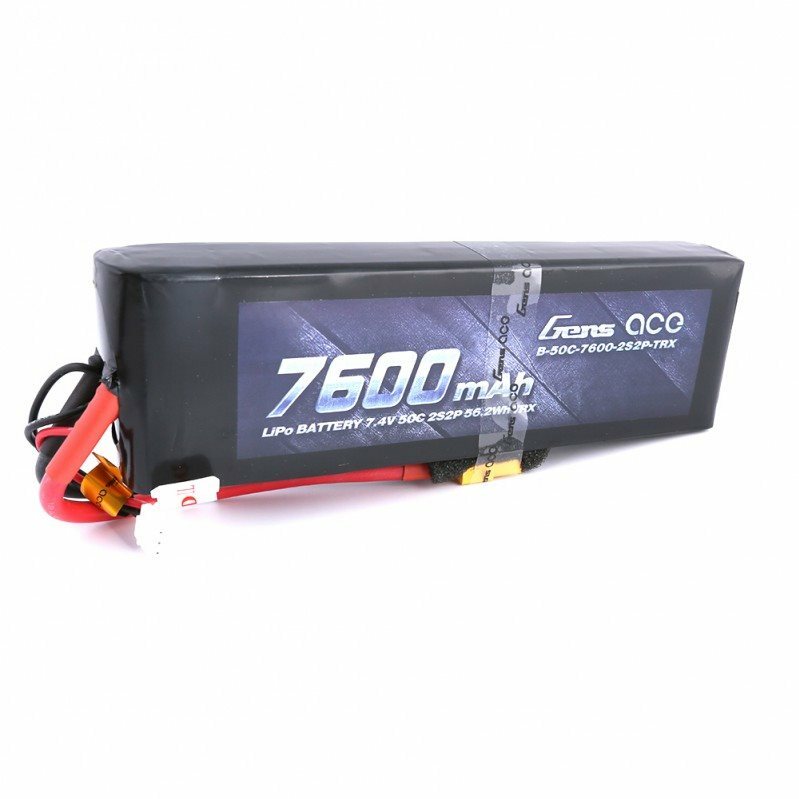 Steady automated stacking innovation enables single cell capabilities of 7600mAh. High dependability and automated assembly line to ensure high quality and constant performance. 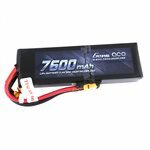 Gens ace 7600mAh 7.4V 50C 2S2P Lipo Battery Pack is capatible withSlash, Slash VXL, Slash 4x4 VXL, E-Maxx Brushless, E-Revo Brushless and Spartan models. 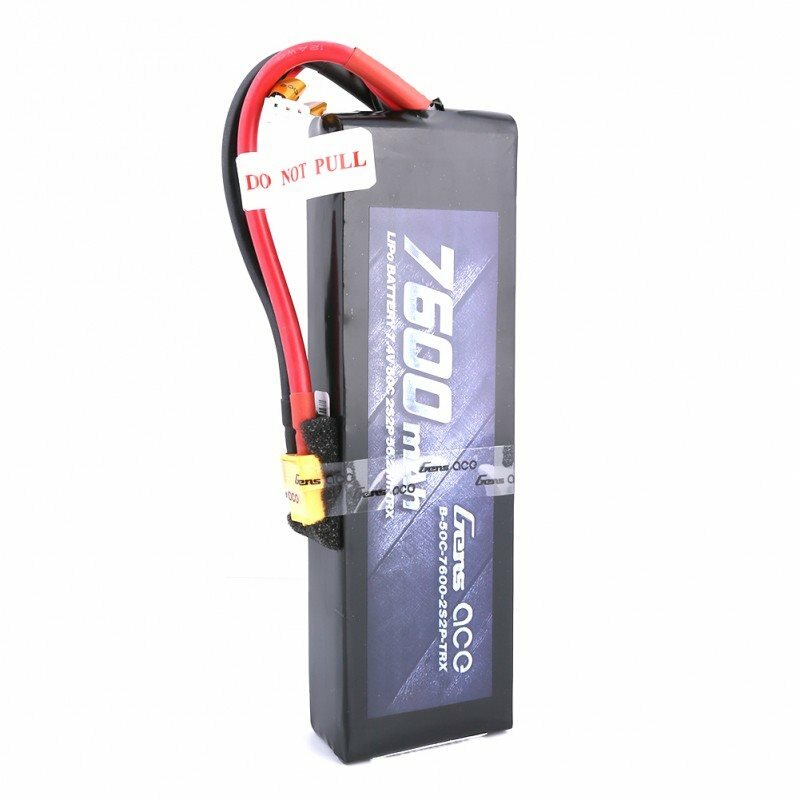 Not my favorite battery. I put it in my UDR and it immediately melted my wires and ecm. 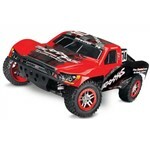 Good performance and great run times, a quality match for the Traxxas Slash! Good performance and great run times, a quality match for the Traxxas Slash! Vortex soldered XT60 connectors on this and the truck and did a fine job. Buy some! Serevral cycle, good so far.